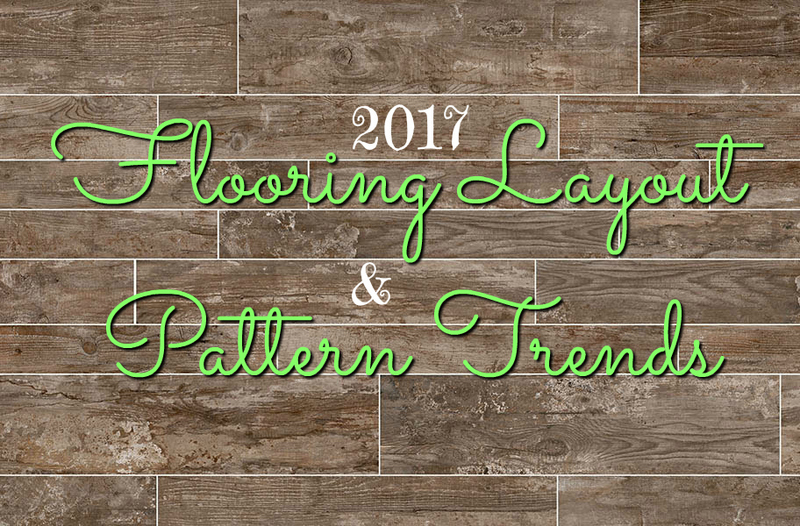 Don’t make the outdated choice when you update your floors – use these 2017 layout & pattern trends to choose a stylish look that will stay in style the lifetime of your floor. 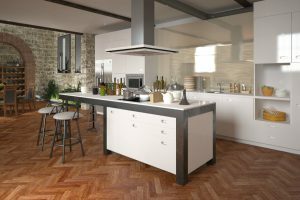 One of the hottest trends for 2017 has nothing to do with color or the type of floor you’re using but is all about layout and design. 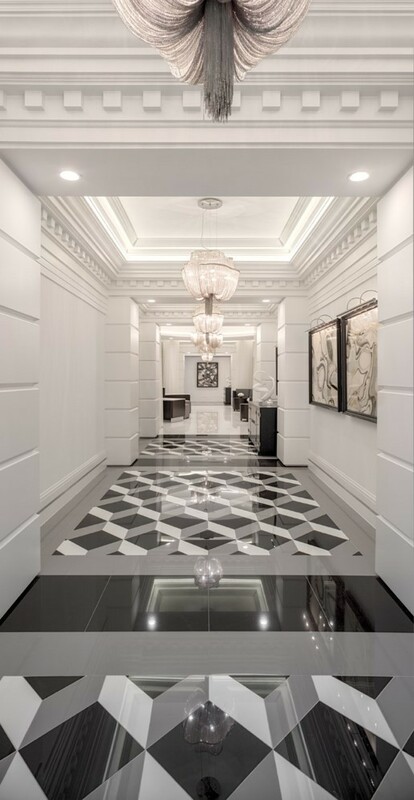 While you’ll still see plenty of traditionally laid floors, many newer, updated and trendier homes will showcase patterned floors, often with custom patterns. Now, let me just tell you – using patterns will, almost always) cost more money. Things like diagonal flooring and custom patterns use more resources and take longer to install. Now, I’m not saying it’s not worth it because it’s beautiful, but it is something you should know upfront if you’re considering doing patterned flooring. And also, let me clarify, I use the term “patterns” loosely. What we’re really talking about is layout and design. Often time, that means using a specific pattern; others, it means a custom layout. People are getting ultra creative when it comes to the layout of their floor. Patterns, angles, you name it. Of course, not all patterns are created equal. There are plenty of dated pattern looks or patterns that only work in specific situations. However, there are many hot looks going on right now that anyone can rock with the right modern decor. It’s no secret that larger planks and tiles make your room look bigger. They look modern, elegant and expensive in any room in the home. 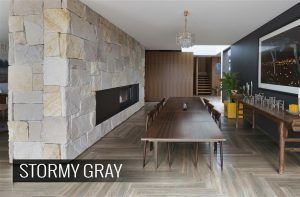 The wide plank trend has been huge across the board for flooring, and it is certainly here for the long haul. 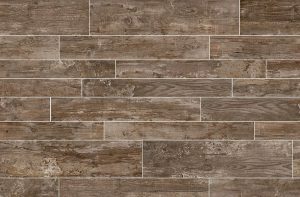 I predict the large format tile trend is also here to stay. 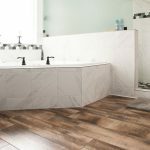 In addition to making your space look bigger, they give you fewer grout lines (with tile and groutable vinyl tiles), and provide a beautiful, clean, modern look. Of course, we will likely reach a point, like with phones, where the size gets excessive. I have a feeling that may happen within the next 5-10 years. Our advice: don’t get sucked into the newest, biggest sizes, but do go with the large format and wide plank sizes currently available on the market. 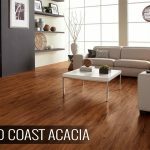 >> Check out our options for wide planks in wood, laminate, vinyl and tile along with our large format tile and vinyl tiles. Our eyes love detail and the unexpected. 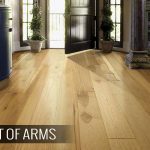 That is why it is no surprise that mixed width wood floors are in demand. Mixed width floors (unsurprisingly) combine multiple width planks to make the flooring pop. This can be done in a pattern or randomly for more variety. 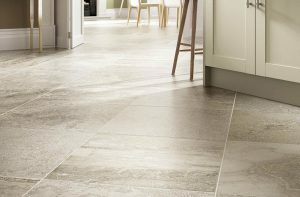 >> Check out our options for mixed width wood, laminate, vinyl and tile. *Note: Very few flooring options come with multiple widths in the same box. To achieve a mixed width look, simply speak to your contractor about ordering multiple sizes at once. Okay, you’re probably wondering ‘what the heck is herringbone?’ or ‘aren’t those the same thing?’. 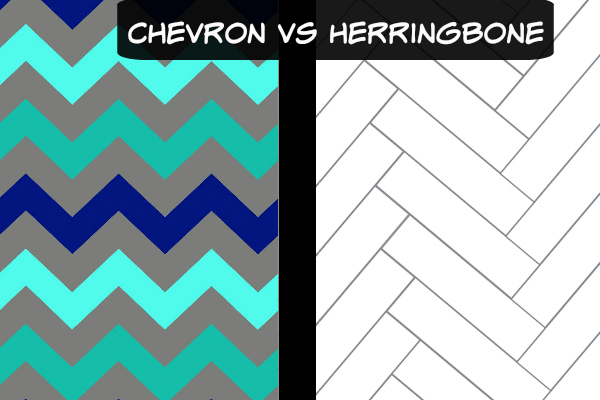 Well, herringbone is a cool pattern that looks like chevron but isn’t. And chevron is, well, chevron. In the chevron pattern, the two planks are angled at the end to come together and form a perfect point. In the herringbone pattern (basically, the easier, more affordable chevron for flooring), planks are laid in a zigzag, but stacked on top of each other to create the “point” – this means less cutting, less labor and less wasted materials. We’re not talking the 1970s short plank parquet flooring. 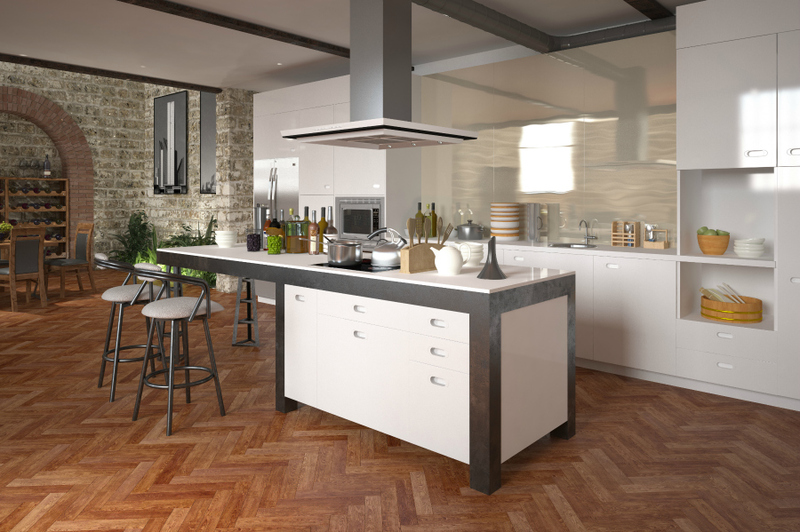 New, trendy chevron and herringbone flooring layouts typically use longer planks and add interest and depth to the eye. This may not be the trend to do your entire home in. However, long entryways, hallways and bathrooms can look absolutely stunning. While this trend isn’t likely to last forever, but it sure looks pretty while it’s here. 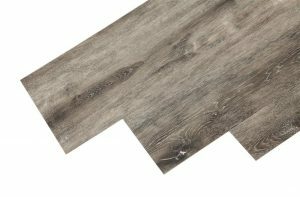 >> You can do a herrringbone pattern with just about any plank flooring. 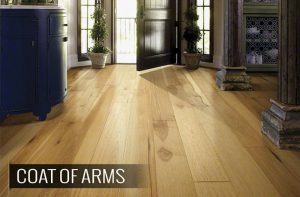 Check out all our flooring options. You know those people that are so trendy, but don’t want to be trendy? The ones who see everyone doing one thing so they do something else, but then everyone copies them? Those people like custom flooring patterns. So do the people who copy them. That’s how this idea got so trendy in the first place. As patterned layouts became more popular, so did the idea of creating something custom. Just the word “custom” already makes your home sound expensive. When you see a well thought-out custom flooring layout, it is clear that someone has put thought into conceptualizing the design. However, if you don’t have the eye for this, we recommend letting your contractor help you out a bit. 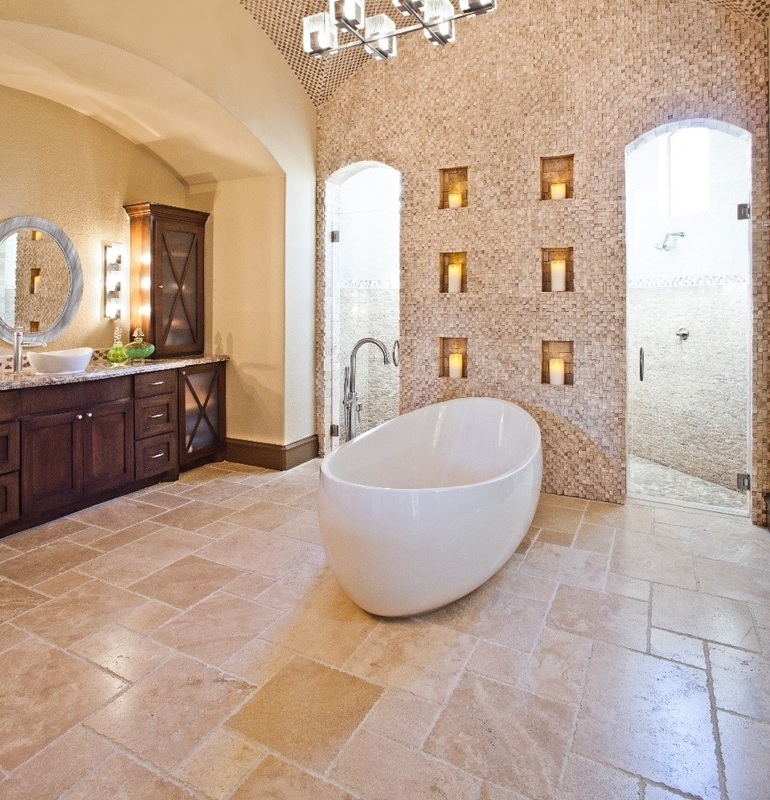 Not all patterns are created equal and this custom idea can easily go from classy to trashy. Here’s the deal with custom anything – it is specifically designed to your taste. That means not everyone is going to like it, and it could make selling your home in the future a little more challenging. I believe the idea of custom layouts will maintain popularity for many years in more expensive homes, but I don’t think it will become a staple in everyday homes. As you can see, there’s a lot going on when it comes to layout and patterns right now. While some may be fleeting, there are a couple that I predict will stick around for good. If you want something hot that will last for the long haul, I suggest going with wide planks, large format tile, or mixed width planks. These looks are sure to last the length of your floor. Glad you found it helpful, Lilia! Let us know if you’d like us to set you up with some free samples to help you find what you like.